straps so you can wear it like a backpack and large heavy-duty carry handles. Best part - the price - only $18 shipped, from eBay! Shown with a sporterized (non-Bubba’d) Krag wrapped in the blanket case (I made for my muzzleloaders) next to a Lithgow No1 Mk3. 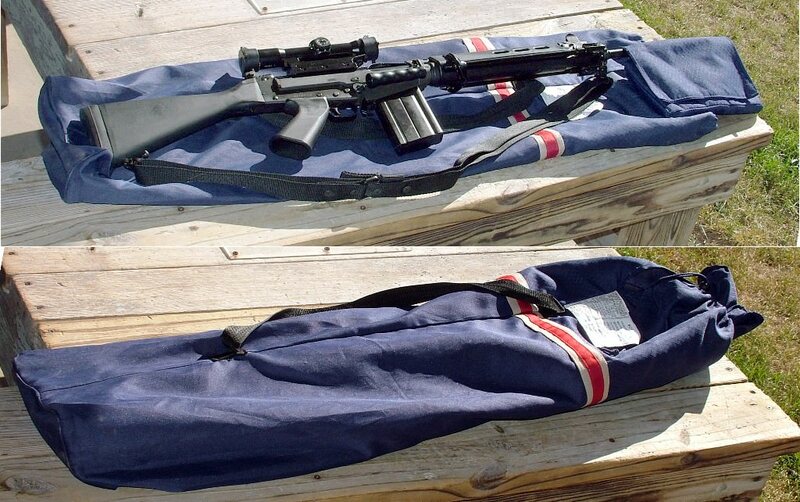 As a bonus ... same case holds my, ahem ... precision, scoped AR with 24” heavy barrel! I had one of those folding camping chairs with a footrest, this was the carry case that came with it. I've since padded it a little with a used yoga may so it looks more correct.